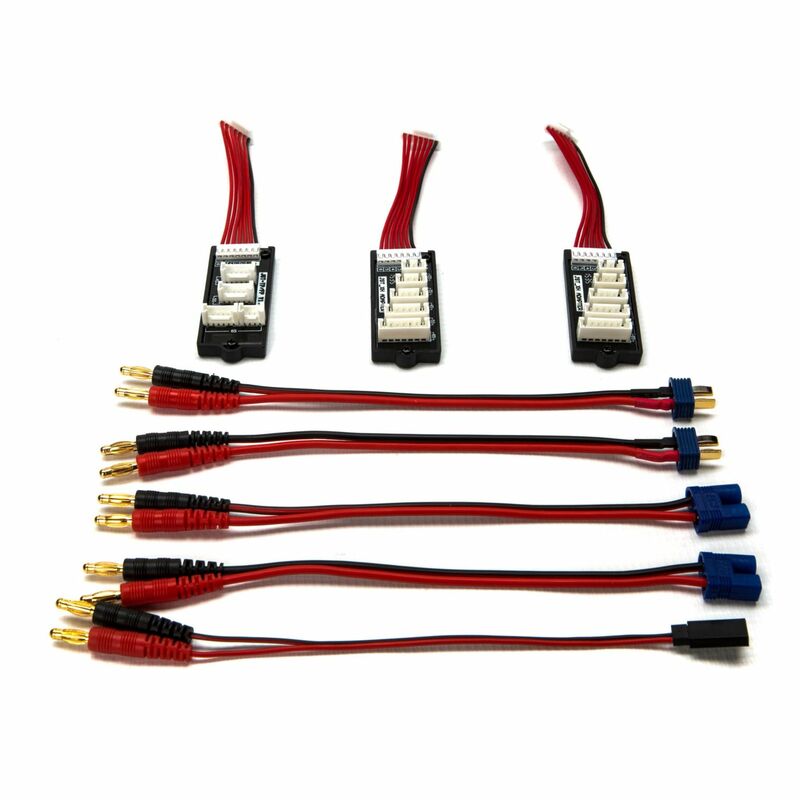 The typical beginner RC flyer has a few chargers that came with Ready To Fly (RTF) airplanes. After a while, these chargers will need upgrading. They are reliable but relatively slow when charging and usually have no way of discharging. It is essential, for lipo battery life, that batteries are not left in a fully charged state and need to be discharged to the storage voltage level. 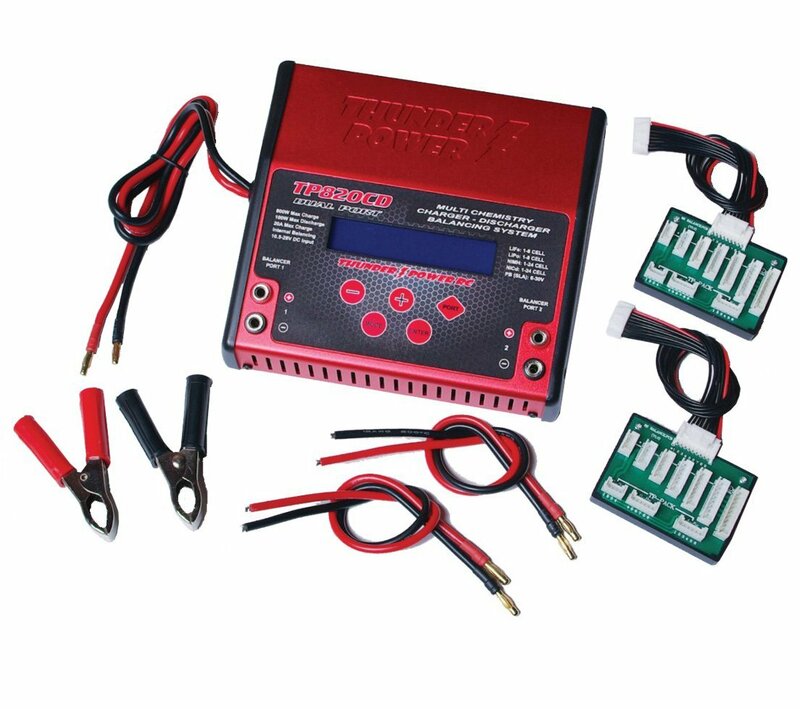 These lipo battery charger reviews were assembled to help select the best charger for you. The most important statistic to consider, when researching lipo battery chargers is the wattage. The higher this number is, then the faster batteries can be charged/discharged. Multi port chargers are very useful, as more than one battery can be handled at a time. I recently purchased this charger and have found it excellent for my particular demands. The fact that I can service 4 Lipo batteries at the same time is a great time saver. Previously I was using a single port charger and found that with multiple batteries in play, I was always charging/discharging batteries. Now it is a simple matter to look after my lipos. I find it easy to program and was glad to find that the process was very similar to my older chargers. I did have one battery that was beginning to not take a full charge. I proceeded to balance charge it, on the new charger, and low and behold it recovered! I do not know why, but balance charging on other chargers had no effect. There must be something magic about Hitec chargers! I keep my charger at home, so I always use the 120V input. It does come with the alternate 11-18V DC power source, which could be necessary in the field. For you guys in the UK, it is not available for 240V input, so you would have to use a voltage converter. We love that we can charge/discharge 4 batteries, of different chemistry, at the same time. Regarding the Charge Power of 50 Watts per channel. Remember that Watts=Volts x Amps (Ohm's Law). So a 3S Lipo has a nominal voltage of 11.1V, which equates out to 4.5A. Whereas a 6S pack=22.2V which results in a charge current of 2.2A. This is not a problem, if like me , you charge your lipos at 1C and do not want a faster charge. I prefer to have several batteries available, rather than fast charging and I think my packs last a little longer. With 4 charging ports available, you will need extra cables. I bought 4 Deans to banana plug leads and then used deans adapters to hook up any other battery types. 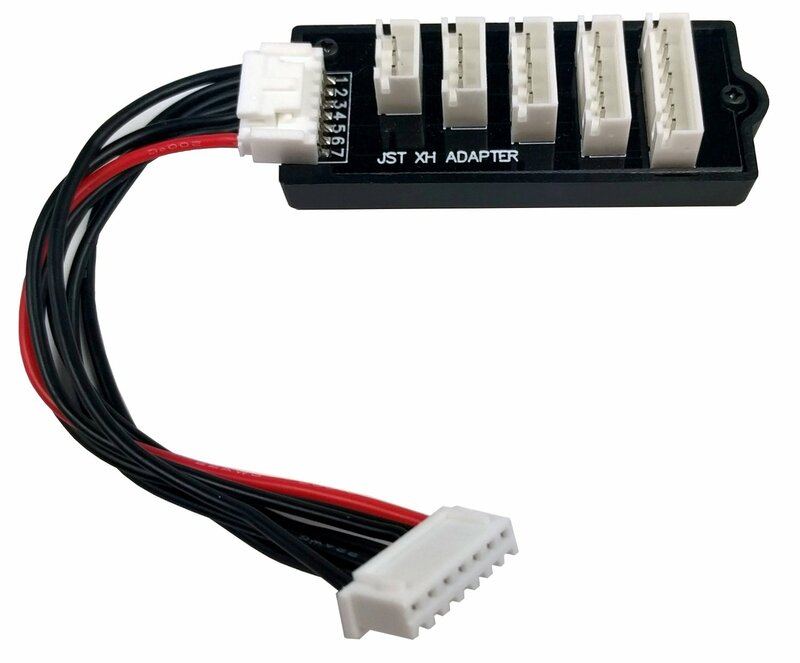 See this page for details of these adapters. You could consider a multi connector cable such as the Apex shown below. Please note that the length of the leads is relatively short and not really suited to charging batteries that are not removed from the air-frame. NiCd and NiMh can be charged "in-place" but lipos should be removed for charging/discharging, due to the always possible fire risk. If you would like to balance charge (Why not make every charge a balance charge?-It makes perfect sense!) then you will also need 3 more balancer boards and leads. If your batteries have different balance connectors then a visit to this Amazon page may be useful. 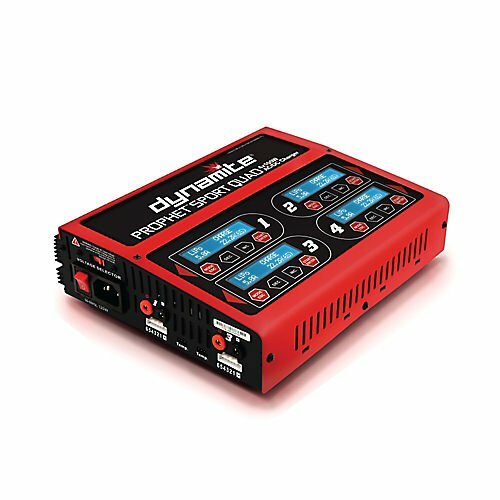 With 3 or 4 lipo battery charger reviews, it may help to take a look at the manual, before deciding which one to invest in. 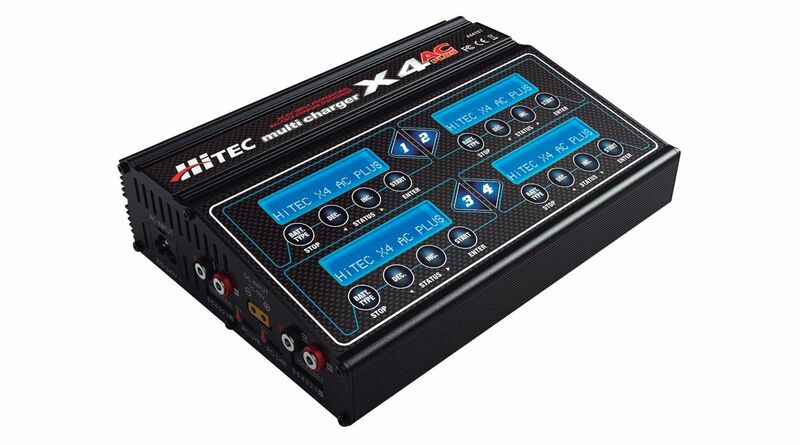 Click here to take a look at the Hitec X4 manual. It is well written, in good English and is fairly easy to follow. With 24 pages, it does contain a lot of information and is of a convenient size. Fast charging of large capacity cells is not really possible. 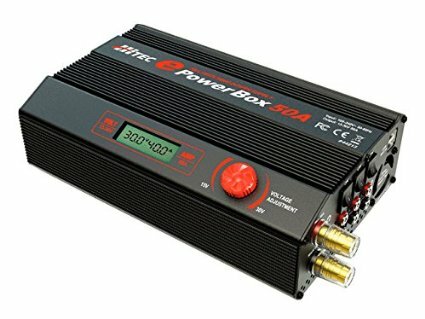 This is the highest power unit mentioned in this lipo battery charger review. It has 400A of power per channel and two channels to give a total power of 800A! It does need a separate power supply, which is not inexpensive, but it will charge large batteries fast and is a very reliable unit. If you are looking for a high power Multi-charger to charge your lipos FAST-then here it is! A power supply is necessary and one with enough capacity to supply the 800W charger. Although only 4 pages long, this manual contains useful information and specifications. Click here to take a look. Lots of power. 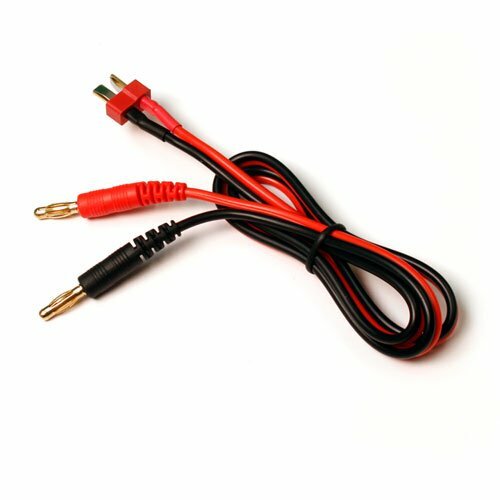 If you own large lipos and like to charge them fast, then this is the charger for you! One report says 2- 6S 5800mAh lipo packs were charged, at 2C in 25mins. It was difficult to find a lot of reviews, but those that we did read were very positive. Only one out of about 10 reviews was negative. This customer complained that the charger wore out his batteries. I would suggest that the charger was set at too high a charge rate for the particular battery being charged. Please check all the settings prior to charging and I am sure you will be happy with this unit. As mentioned, I do have a friend who has been using this charger for a number of years and he is very satisfied with the performance. This charger has been chosen for these lipo battery charger reviews because it has some of the combined features of the previous two chargers. Namely, it can charge-discharge 4 batteries of different types at the same time and it has high power wattage to charge batteries fast. The Dynamite name has been around for a long time and has a reputation for reliability. You will need extra balancing leads as only 3 are provided. (Unusual as this is a 4 port charger!) and probably some adapters to suit your batteries. Take a look here for more information on adapters. This is a basic manual, that is written in 4 languages, so it is 4 times the size it could be! However the English version is easy to understand and should help a lot. Click here to see. The fan is a little loud, in operation,like a hair dryer on low. When I decided to write a page entitled " Lipo battery charger reviews" I had just a basic knowledge of RC chargers. I have been in this hobby for over 60 years (Yes I am an old coot!) and the first charger I owned was a plugin wall unit for charging the RC transmitter and receiver NiCd batteries. In those days electric power was just a dream and the only way to power an RC airplane was to use a glow or gas engine. The advent of Lipo batteries gave rise to the computer chargers we see on this page and the first Lipo charger I used was included with the Parkzone airplane I purchased and was only good for charging the battery in that plane. I have done a lot of research and spoken to many of my flying buddies regarding chargers and batteries and I now have a rudimentary idea of the state of the art in today's market place of RC chargers. 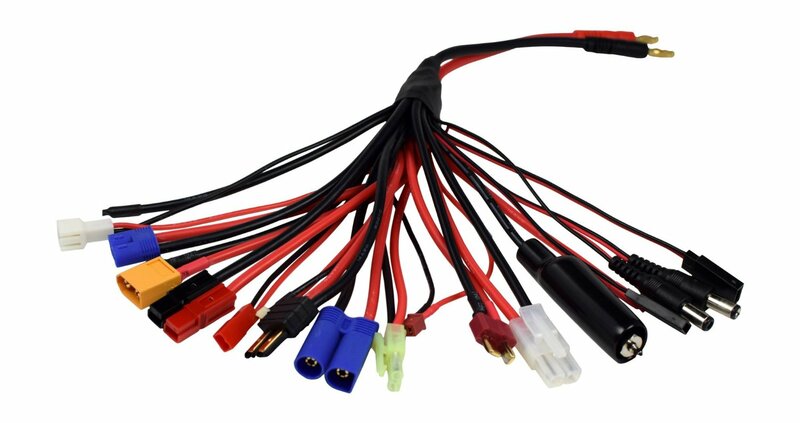 I do not, in any way, consider myself an expert on Lipos and RC electrics but I do know what makes a good deal and is useful for the average RC flyer. The Hitec was chosen as #1 of these lipo battery charger reviews because it is good value for the money. If your batteries are on the smaller scale ( Say 4S maximum) then this is the charger for you and you do not want a super fast charge/discharge cycle. If you use the larger size lipos, then consider the Sport Quad. With 100W of power per port, 6S batteries are no problem. The Thunder power is included because it has a LOT of power at 400W per port and can handle the biggest batteries that are available to date. All of the above, included in these lipo battery charger reviews are from reputable manufacturers, with good USA based service. After sales service has a good reputation, so if you run into a problem, help is available. Charge termination: NiCd/NiMh-Automatic, negative delta peak method. Dimensions: 8.9" x 6.7" x 2.6"
Dimensions: 12" x 6.7" x 3.3"